F21 blue blouse. My relationship with this shirt is somewhat interesting. I bought it initially for a halloween costume, and kept it in the back of my closet for a while. 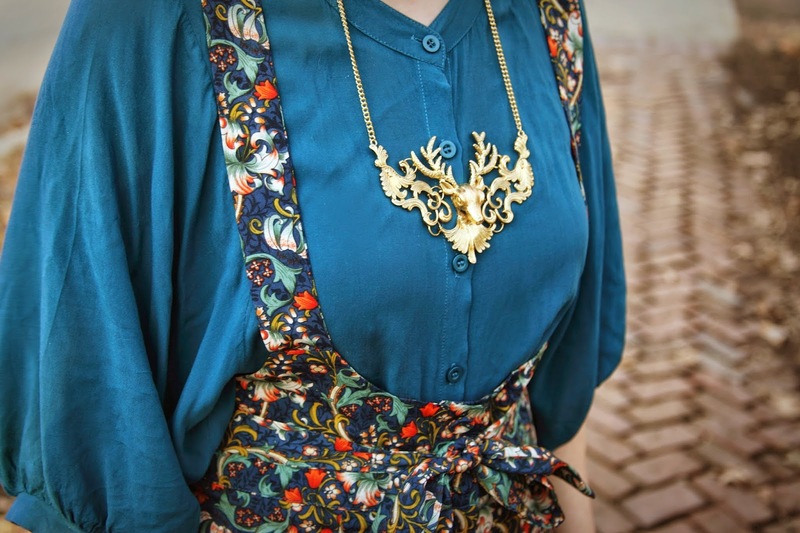 I wasn't sure exactly how to wear it in an everyday outfit because of the neckline. 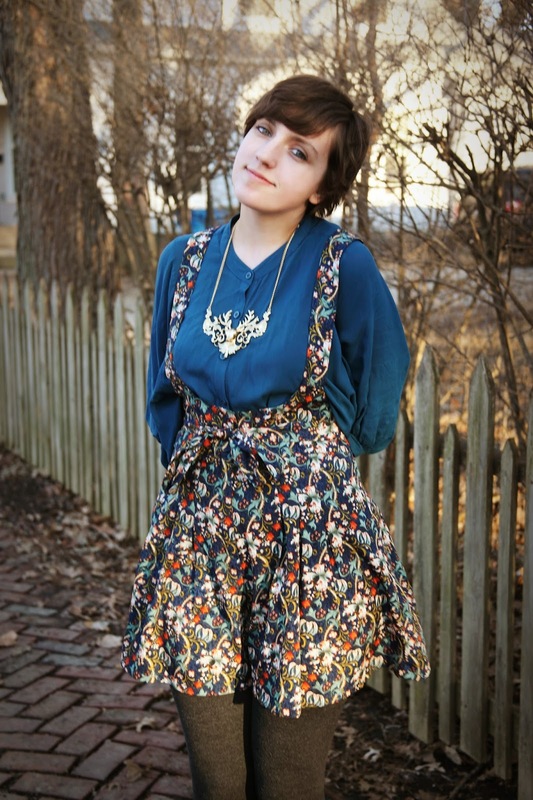 I started wearing collar inserts with it once and a while, and when I bought this romper I realized it was a great under-layering piece for things that are print-heavy. F21 Filligree romper. I love this crazy thing! I love strange items that are unlike anything else in my closet. 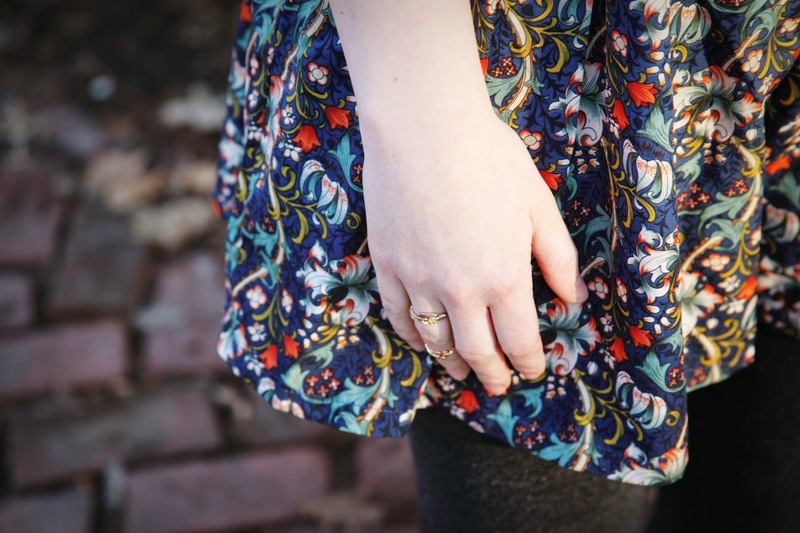 F21 Leaf midi ring. simple, yet elegant. 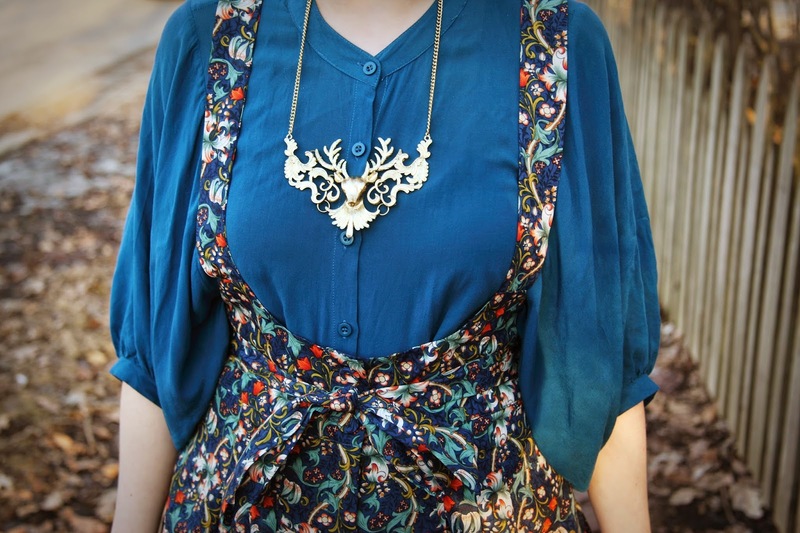 Sheinside Deer Necklace. Another piece of jewelry I ordered from the Sheinside. This is probably the most statement-like necklace I own. 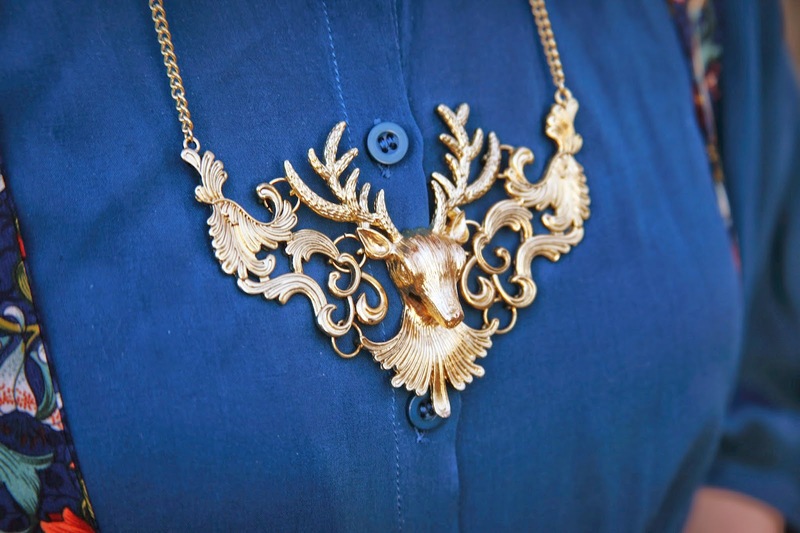 I love the woodsy- feel it gives with the golden deer in the center of it and the golden metal color.